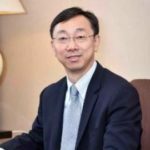 Mr. Tao Zhang assumed the role of Deputy Managing Director at the IMF on August 22, 2016. He brings extensive international economic expertise and experience in policymaking, including with international financial institutions, from his previous appointments as the Deputy Governor of the People’s Bank of China and IMF’s Executive Director for China from 2011 to 2015. Prior to his position as the Deputy Governor, Mr. Zhang held a number of high-level positions in the People’s Bank of China: Director-General of the Legal Affairs Department; Director-General of the International Department; and, Director-General of Financial Survey and Statistics Department. Mr. Zhang also worked at the World Bank from 1995 to 1997 and at the Asian Development Bank from 1997 to 2004.